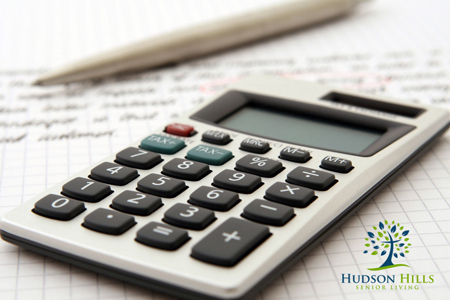 North Bergen, NJ | Hudson Hills Senior Living - Are Assisted Living Costs Tax Deductible? Are Assisted Living Costs Tax Deductible? The good news is, that some or even all of the costs of Assisted Living and Alzheimer's care may be tax deductible! According to the 1996 Health Insurance Portability and Accountability Act (HIPAA), “long-term care services” may be tax deductible as an unreimbursed medical expense on Schedule A. Qualified long-term care services have been defined as including the type of daily “personal care services” provided to Assisted Living residents, such as help with bathing, dressing, continence care, eating and transferring, as well as “maintenance services”, such as meal preparation and household cleaning. Assisted Living residents seeking tax deductions for their services must qualify as “chronically ill”. This definition refers to seniors who are unable to perform two or more “Activities of Daily Living” (eating, transferring, bathing, dressing and continence) without assistance, or who need constant supervision because of a “severe cognitive impairment” such as Alzheimer’s disease or related dementias. The Assisted Living resident must have been certified within the previous 12 months as “chronically ill” by a licensed health care practitioner. In order to qualify for a deduction, personal care services must be provided pursuant to a plan of care prescribed by a licensed health care practitioner. Many Assisted Living communities have on staff a licensed nurse or social worker who prepares a plan of care, sometimes called a “Wellness Care Plan,” in coordination with the resident’s physician which outlines the specific daily services the resident will receive in the community. "In certain instances, these expenses are allowable as medical expenses, said a certified financial planner. If you or someone who was your spouse or your dependent -- either when the service was provided or when you paid for the services -- is in a nursing home primarily for medical care, then the entire cost including meals and lodging is deductible as a medical expense, but if the individual is in the home mainly for personal reasons, then only the cost of the actual medical care is deductible as a medical expense, not the cost of the meals and lodging, you can include in medical expenses the wages and other amounts you pay for nursing services." Please keep this in mind as these are great resources to have when you have a loved one or friend in a Assisted Living Facility. Assisted Living residents and their families should consult a tax advisor or financial planner with questions concerning your own personal circumstances, as it could vary from case to case.